Born into a brass banding family in Northamptonshire (1989), Christian began playing the cornet at an early age. After short spells with the Thrapston Town and Rushden Windmill bands, he joined his father at Raunds Temperance on 3rd cornet in 2000 – his first contest with the band was at the 4th Section National Finals which, that year, was held at the Royal Albert Hall. Just seven years later, the band were competing in the Championship Section, with Christian on solo cornet. In 2009, he was appointed principal cornet – a position he held until leaving the band to study in The Netherlands in 2013. Since then, Christian has been a member of Brass Band Schoonhoven (on both cornet and tenor horn), winning two national titles and representing his adopted country in the European Brass Band Championships. Christian began to take an interest in composition during his mid-teens, teaching himself by studying any brass band and orchestral scores he could get his hands on. Encouraged by feedback of an early work from Elgar Howarth, this interest grew and grew. Soon he began writing pieces for local bands and entering composition competitions. To date, Christian has been a finalist in the Ohio Brass Arts Festival, John Golland Award, Slide Factory, European Brass Band Championships, and Ensemble de Cuivres Valaisan Composer Competitions. When deciding where to study, Christian opted for the Conservatoire of The Hague (having met the head of composition, Martijn Padding, during the Slide Factory event). In 2013 he began his studies under Cornelis de Bondt and Martijn. Having studied for just over a year, and realising that writing for brass bands in particular was his passion, Christian decided to part ways with the Conservatoire and instead receive private tuition from Dutch brass and wind band composer Rob Goorhuis. With fellow composer Geert Jan Kroon and euphonium soloist Robbert Vos. 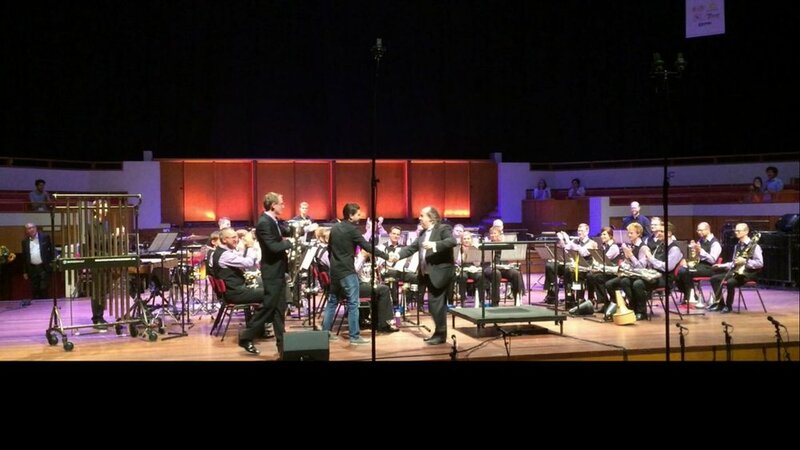 Christian’s first ‘Dutch’ work, “Fanfare in Orange”, was written for the Cory Band for their visit to the country, and performed by them in Eindhoven and Leeuwarden. Since then, he has worked on several projects with Brass Band Schoonhoven, including contributing to their Brass in Concert programme and composing his “Underground Concerto” for the band’s solo euphonium player, Robbert Vos. This work was recorded as part of Robbert’s solo CD, ‘VOX’. After four successful years working and playing in the Netherlands, Christian is now based back in his native United Kingdom. The premiere of 'Underground Concerto'. TivoliVredenburg, Utrecht, 2017.